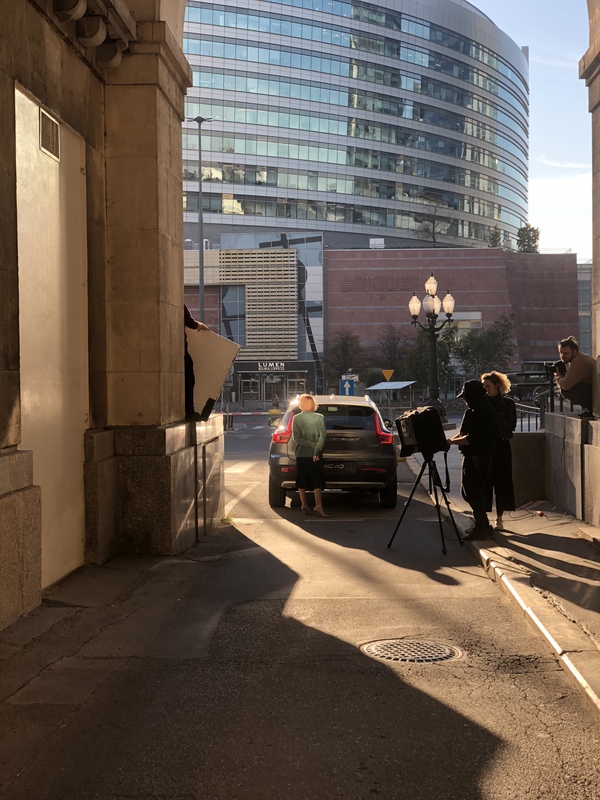 This cinematic series gives a new slant to the dramatic play of sunlight in a big city, with strong transitions to long edgy shadows. 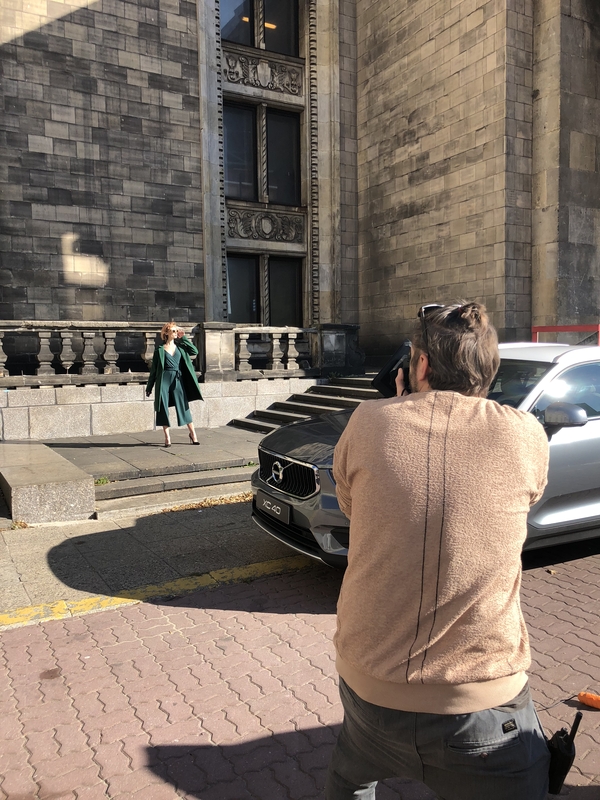 Against a backdrop of heritage architecture in Warsaw, the sleek modern neutrals of the car set the scene for its driver – a bold and stylish redheaded individualist. Recom Farmhouse London collaborated with the photographer to intensify the film noir ambiance. A strong duotone palette led by the rich orange and deep greens of the model infuses with subtler tones into the car and background. 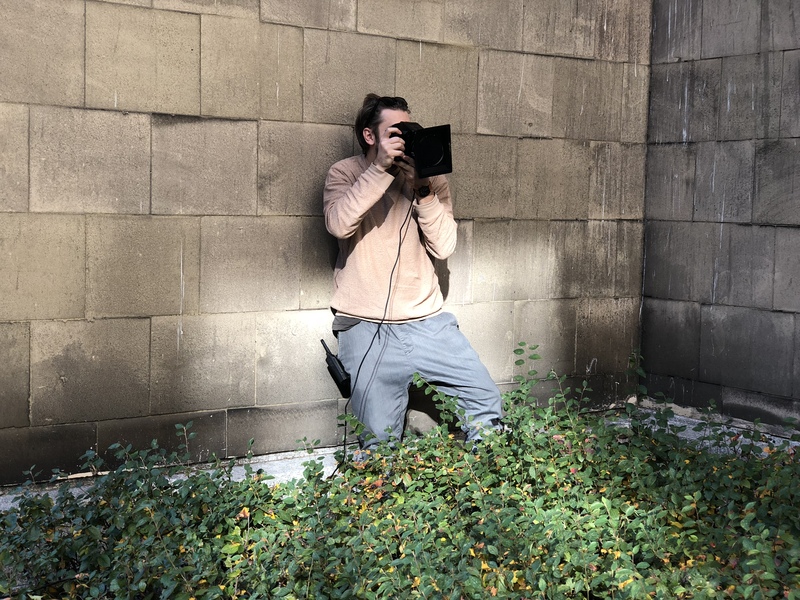 On location in Warsaw, Tomek scouted for locations with interesting light and shadow, no matter how awkward! Observing the position of the sun, he planned the shoot over time, looking for places where dynamic lines throw the shapes into sharp relief. 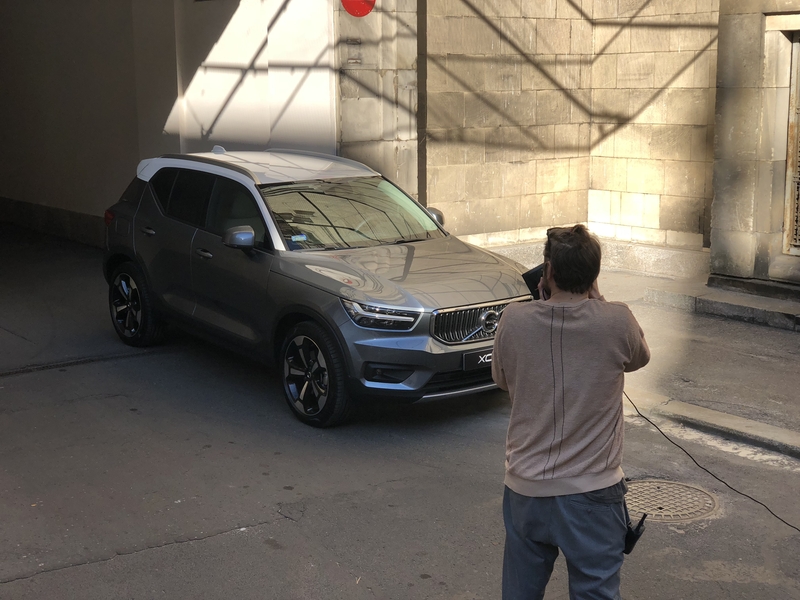 For the car, a neutral coloured Volvo was a perfect choice, fitting the overall vision of elegant and modern style with the feeling of heritage in the background. Amongst the redheaded models cast, Natalia instantly stood out for this shoot, with her striking colouring, purposeful attitude and insouciant style. Her pierced nose adds a hint of rebelliousness, and Dorota styled her with a gorgeous series of ensembles in green to lay the natural foundations for the palette, to be developed later in post-production. In discussions with the team in Recom Farmhouse’s London studio, the decision was to evolve these original colours with cooler notes in the darker tones and a strong overall combination of rich warm oranges and deep cool greens. Post-production also emphasised the strong transitions between shadows and light. 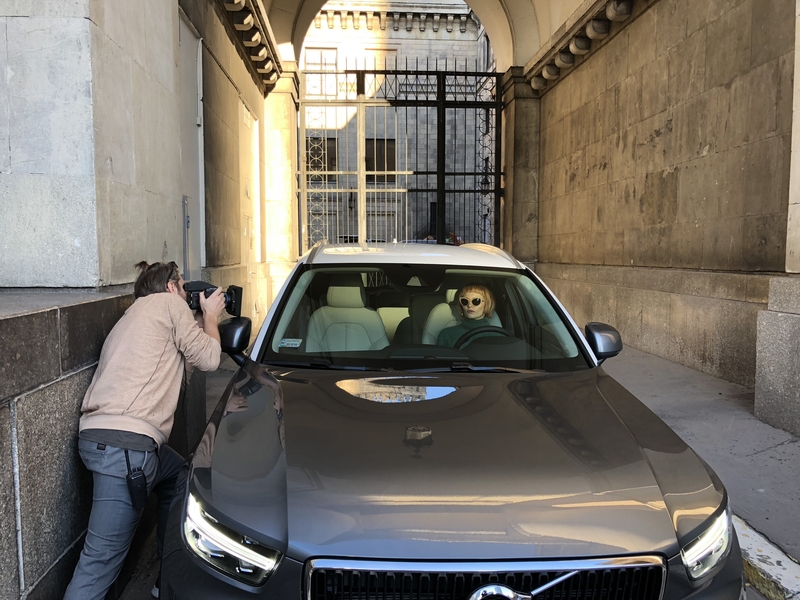 This entry was posted in NEWS, THE MAKING OF and tagged Automotive, city, creative retouching, green, Making-of, orange, redhead, shadow, tomek olszowski, volvo on March 13, 2019 by recomfarmhousesocial.